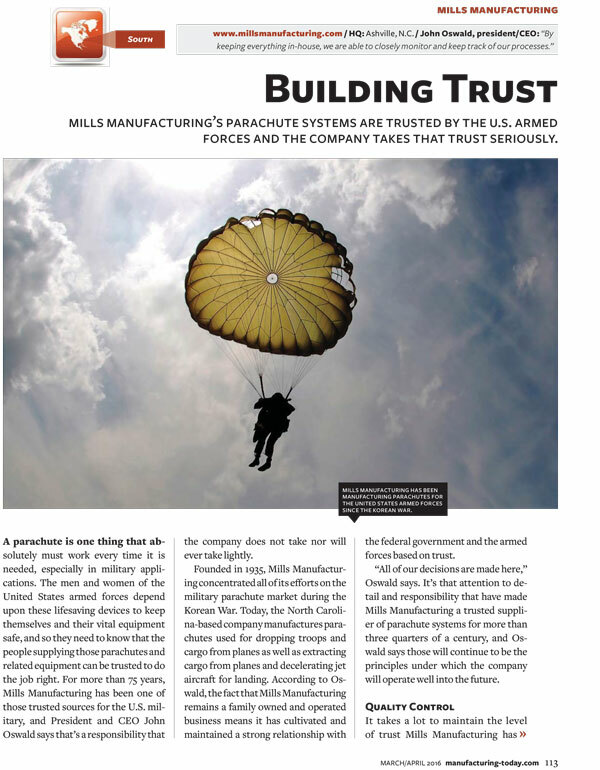 Being a family owned and operated company also means Mills Manufacturing can provide its military customers with direct access to its top decision-makers anytime they have questions or concerns. Given the nature of its products, quality is of utmost importance at Mills Man­ufacturing. As an ISO 9001-certified company, it follows its own strict quality assurance program on top of the protocols set by the U.S. government. A full-time government quality assurance representative (QAR) is on site to who routinely inspects its work. 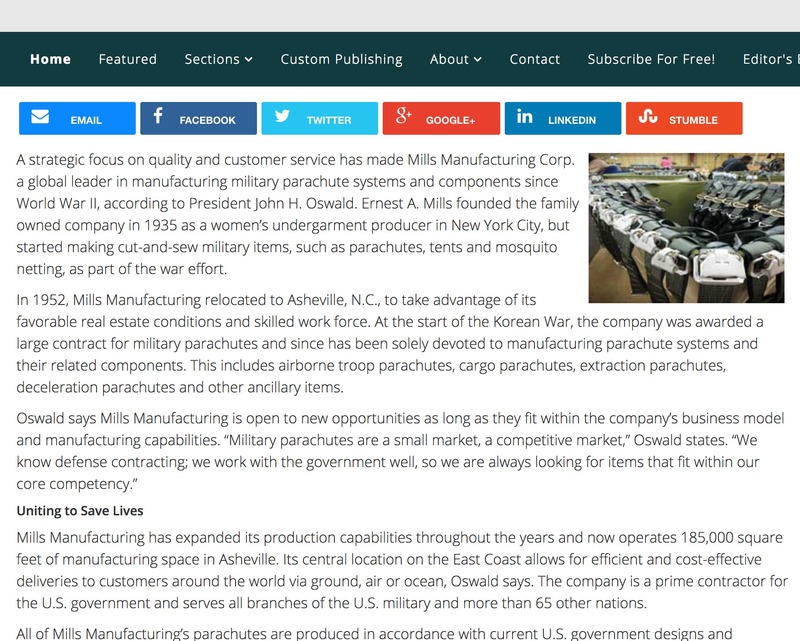 Mills Manufacturing is a family-owned business, originally founded by Ernest A. Mills in 1935. We’ve been proud to call the mountains of North Carolina home since relocating to Asheville from New York City in 1952. Mills Manufacturing provides jobs to area residents and strives to boost the local economy. We’re committed to this region and staying very active in our community. We strongly believe in giving back. 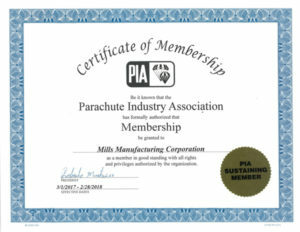 That’s why we contribute our time and money to a wide variety of important organizations in our community. We support causes through monetary donations, but we also realize the value of lending our expertise to nonprofits. We encourage our employees to volunteer for local causes, and we give them time off to do that. Our entire strategic senior management team has been through the Leadership Asheville program, which aims to strengthen participants’ involvement in collaborative community leadership.